Rost contains Rosuvastatin & Rost F contains rosuvastatin and Fenofibrate. Rosuvastatin belongs to the class of drugs known as HMG Co-A Reductase Inhibitors. Fenofibrate belongs to the class of Fibrates. Rost is available in three strengths 5 mg, 10 mg and 20 mg and Rost F is Rosuvastatin 10 mg, Fenofibarte 160 mg. Rost is indicated to control high levels of cholesterol and Rost F is indicated in high cholesterol and high Triglyceride levels. 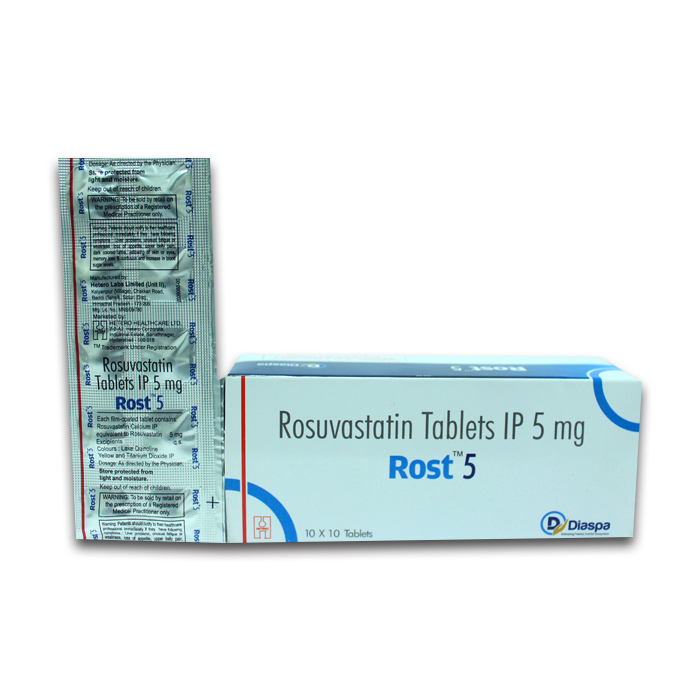 Rost 5 mg Tablet is used in the treatment of high cholesterol.